We are a group of local residents and visitors who meet regularly to clean different areas of the beach. Our aim is to improve the environment and remove as much rubbish as possible from the Borth & Ynyslas beach. The consequences of leaving plastics on the beach. This film is from Midway Island in the Pacific Ocean, which is uninhabited, apart from the birds. 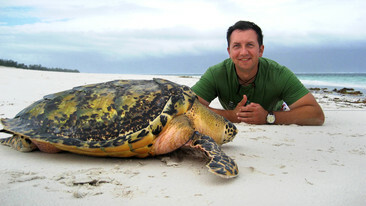 BBC Television series Rhys to the Rescue talks about the danger caused by plastic bags to Turtles. Turtles follow the Jelly Fish into Cardigan Bay during the summer months. The program discusses how the turtles eat plastic bags, which they mistake for a Jelly Fish. This can often result in the death of the animal. Why plastic is the scourge of sea life 5 February 2008, by Steve Connor, Science Editor of The Independent. Scientists uncover new ocean threat from plastics 20 August 2009, by Steve Connor, Science Editor of The Independent. Plastics in Our Oceans 1995, by Kimberly Amaral from the Woods Hole Oceanographic Institution. There are also some thought provoking pictures of entangled Seals. We created this website to build awareness of our voluntary work, cleaning the beautiful beach at Borth & Ynyslas. Read our news page for details of the next beach clean and reports from previous beach cleans. Please contact us if you want to receive emails about forthcoming beach cleans. 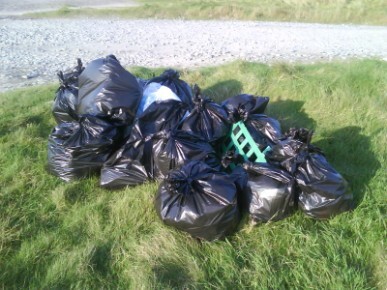 Since 2009 we have taken over 400 bags of rubbish off the beach at Borth & Ynslas. See also Borth Community Website for information on activities and events in Borth and Ynyslas. All content ©Copyright 2010-13 Dave Reynolds unless otherwise stated.